The Student Caucus is the student voice in decision-making at Thompson Rivers University. We are the team of student representatives on all university committees. We get students involved in key issues and work to improve our campus. We organize the annual Student Budget Consultation to have student priorities reflected in university plans and budgets. You can join the Student Caucus to serve on one of over fifty student positions on committees across the university. You will join a team, build skills, make decisions, and earn recognition for your service. In the Student Caucus, you’ll take on real responsibilities representing your peers. Your experiences will push you to grow. We provide the toolkit, support, and platforms for you to become a leader through your service. You are a member of the Thompson Rivers University community, with all the rights and responsibilities that entails. We provide opportunities for you to be an active and engaged student beyond the classroom – working together with faculty, staff, administrators and fellow students. Participate in decisions and processes that will shape your education, your friends’ education, and that of TRU students for years to come. Thompson Rivers University is what we make it together. In the Student Caucus, when you lead through service, you help build our TRU. Board of Governors | Responsible for financial, legal, capital, and external relations decisions. Below are descriptions of each of the decision-making bodies where students are represented, along with the name, contact, and term of the students currently representing you. The TRU Board of Governors has a legislated set of responsibilities for directing the affairs of the institution and setting policies in accordance with the Thompson Rivers University Act. In summary, the Board is responsible for the management, administration and control of the property, revenue, business, and affairs of the University. Note that student representatives on the Board are elected through a TRU process and not selected through the Student Caucus.  The TRU Community Trust (TRUCT) is a corporate trust wholly owned by TRU and created as a separate legal entity to manage the development of TRU’s real estate. The TRUCT is responsible for developing a “university village” that incorporates features on campus such as market-based residential housing, student residences, retail shops, restaurants, professional offices, and student assembly space. Administrative advisory committees are representative bodies that serve not to make decisions, but to advise administration on operational issues that do not fall under the governance mandates of the Board of Governors, Senate, or Planning Council for Open Learning. While there are countless formal and informal advisory bodies and activities at the university at any given time, the Student Caucus supports representatives only on formal advisory committees reporting to the President, Vice Presidents, Associate Vice Presidents, or Directors. The President’s Council, reporting to the President, develops operational policies for TRU. Operational policies are those that prescribe administrative processes. These policies are intended to provide for the efficient operation of the university and may be developed to provide clear direction to employees of the university. Note that the student representative on the President’s Council is automatically the President of the Students’ Union. The Academic Computing Technology Advisory Committee, reporting to the Associate Vice President Information Technology, is responsible for identifying, prioritizing, and monitoring the applications, services, and technologies required by Faculties, Schools, and Academic Divisions to meet the Academic Plan. It advises Deans, Faculties, Schools, and Academic Divisions on academic computing priorities including proposals for new applications, services and technologies; assists the AVP Information Technology in determining academic computing priorities, deliverables, risks, financial liabilities, and project completion. The Accreditation Steering Committee, reporting to the Vice President Academic, is tasked with overseeing the process of securing university accreditation with the Northwest Commission on Colleges and Universities (NWCCU). The NWCCU is an independent, non-profit organization dedicated to educational excellence and improvement. The Capital Projects Planning Advisory Group, reporting to the President, is tasked to provide leadership, guidance and direction on the development of TRU’s 5-Year Capital Projects Plan to ensure that approved projects meet TRU’s strategic priorities and addresses deficiencies in space, deferred maintenance and/or sustainability. It develops criteria for assessing proposed projects, reviews the TRU Campus Master Plan and other capital planning documents, reviews project proposals, and recommends a 5-Year Capital Plan on an annual basis. The 5-year Capital Projects Plan forms the basis for capital funding asks from government, and is used by the Space Management Committee to guide short and long term space planning decisions. Oct 2018 – Sep 2019 Vacant – Apply now! The Landscape Advisory Committee, reporting to the Director of Facilities, is responsible for advising upon landscape planning to ensure that landscape development proceeds in accordance with the Campus Master Plan and landscape guidelines. It assesses design proposals and provide advice on overall site development and on specific landscape and irrigation projects; identifies maintenance and security issues; and provides continuity of campus development. The Marketing, Communications, and Institutional Relations Committee, reporting to the Associate Vice President Marketing and Communications, is tasked with leveraging synergies and utilizing collective expertise to support the advancement of TRU through university-wide initiatives pertaining to recruitment, marketing, internal communications, media and public relations, and fundraising. The Parking Appeals and Advisory Committee, reporting to the Vice President Administration and Finance, serves two purposes. First, it hears appeals in regard to all parking violations and provides resolutions. Second, it works to continuously improve the parking system and ensure fair and equitable enforcement by making recommendations on parking infrastructure and policies as well as day-to-day operations. The Space Management Committee, reporting to the Vice President Administration and Finance, is tasked with executing the space plans as defined by the capital projects from the 5-Year Capital Plan. It also manages minor space re-allocations, renovations, temporary relocations, etc. The Sustainability Grant Fund Review Committee, reporting to the Director of Environment and Sustainability, serves to review grant applications to the fund and make recommendations to the Director. The grants are awarded to improve the university’s operational environmental performance, foster environmental literacy and campus community engagement, advance applied research, and demonstrate the viability of sustainable technologies. The Senate is the senior academic decision-making body of the university. The purposes of the Senate are defined by the Thompson Rivers University Act. These include setting: criteria for awarding credentials, curriculum content, admissions standards, examinations and student evaluation policies, student withdrawal policies, criteria for academic standing and standards, the grading system, criteria for academic excellence awards, and student academic appeals policies and procedures. The Senate is further required by the Act to advise the Board of Governors on matters including: the mission statement, goals, objectives, strategies, and priorities of the university; the establishment, revision, or discontinuance of courses, programs, or faculties; the priorities for new programs and courses; the evaluation of programs and educational services; the library and resource centres; the setting of the academic schedule; the qualifications of faculty members; the adjudication procedures for appealable matters of student discipline; the terms of affiliation with other post-secondary bodies; and the consultation with community and program advisory groups concerning the university’s educational programs. Note that student representatives on the Senate are elected through a TRU process and not selected through the Student Caucus. The Academic Integrity Committee adjudicates academic integrity cases, and educates faculty and students on issues and standards relative to academic integrity. The Academic Planning and Priorities Committee serves to advise Senate on the mission statement and the educational goals, objectives, strategies, and priorities of the University; the establishment, revision, or discontinuance of educational programs and other curricular changes; the priorities for implementation of new programs; the establishment or discontinuance of Faculties, Schools, Divisions, and Departments; the establishment, revision or discontinuance of research centres, institutes, and research chairs and professorships, and other research-related matters; the terms of affiliation, articulation and other contractual agreements with other post-secondary institutions; policies for enrolment management; and policies and processes for the development, review, implementation, and communication of educational plans. The committee further advises the Budget Committee of Senate on the academic priorities for the allocation of funds. Finally, the committee reviews the reports and recommendations of the Educational Programs Committee or the Graduate Studies Committee and advises Senate. The Awards and Honours Committee serves to advise Senate on policies, procedures, priorities and criteria for student awards and honours; to evaluate nominees for honorary degrees, for honorary title of Professor Emeritus/Educator Emeritus, and for student awards; to recommend awards priorities to the TRU Foundation; to recommend entrance scholarship policy and regulations to the TRU Board of Governors; and to advise the Manager, Financial Aid and Awards on matters of policy and procedure relating to university student loans, fee deferrals and need-based awards. The Budget Committee serves to advise Senate and its committees on the budgetary implications of matters Senates considers, including proposals for new educational, research, or other programs or initiatives. It further advises the President and Vice-Presidents on academic budgetary priorities; major capital plans; the allocation of funds; the development of budgetary policies, guidelines, processes and models; and the development of consultation and communication strategies related to budgetary matters. Finally, it presents the annual University budget to Senate. The Educational Programs Committee serves to advise Senate on all matters related to educational programs; policies, practices and criteria for the admission; evaluation and promotion of students; criteria for awarding credentials; policies concerning student withdrawal; and the annual academic schedule. It reviews regularly the processes for review and approval of curricular changes by Faculty Councils. For curricular matters delegated to Faculty Councils, it reviews the reports of the Faculty Councils and informs Senate. For curricular matters delegated to the Educational Programs Committee, it reviews for approval proposals from the Faculty Councils and informs Senate. For curricular matters that require Senate approval, it reviews proposals from Faculty Councils, in consultation with the Budget Committee, and makes recommendations to the Academic Planning and Priorities Committee. Further, it resolves curricular disputes between academic faculties and departments and reports the decisions to Senate. Finally, it submits to Senate an annual report of the University’s curricular changes. The Environmental Sustainability Advisory Committee, which reports to both the Senate and the Board of Governors, serves to provide evidence-based advice with regard to environmentally sensitive policies and practices that foster a sustainable future and lead to health and economic benefits for the University community. To do so it advises administration, the Board of Governors, and Senate regarding environmental policy and issues; serves a coordinating and communication role concerning environmental issues and activity; encourages environmentally responsible citizenship and a culture of environmental sustainability; encourages environmental teaching, service, research and operations; and investigates potential environmental partnerships within and external to the university. The Graduate Studies Committee serves to advise Senate on all matters related to graduate-level education; policies and practices related to the development, review, approval, delivery and evaluation of graduate-level courses and programs; policies, practices and criteria for the admission, evaluation and promotion of graduate students; criteria for awarding graduate credentials; and policies related to compliance with standards of academic integrity and ethics, promotion of cultural diversity and intellectual collegiality. It reviews proposals for new programs and courses and for curriculum changes from the Graduate Program Committees and makes recommendations to the Academic Planning and Priorities Committee; ensures regular and systematic external assessment and review of graduate programs; and reviews for approval applications for faculty participation as Full, Adjunct and Associate Graduate Instructor/Supervisor following approval of the Dean. Further, the committee engages in strategic planning for graduate education consistent with the academic plan and research plan; fosters cross-disciplinary exchange to facilitate the sharing of courses, expertise, and other resources; conducts research and provides a forum for sharing best practices in graduate education; and supports best practices for graduate student engagement and support. The First Nations and Aboriginal Affairs Committee serves to guide, support, and review the development and delivery of program and course offerings and content relating to Indigenous learners. It advises on Indigenous Education initiatives and on Indigenous research in alignment with Indigenous guidelines and protocols established at Canadian institutions. It encourages and supports representation of Indigenous people at all levels of the University. It reports annually on TRU actions that honour the Canadian Truth and Reconciliation Recommendations and the United Nations Declaration of Indigenous Rights. It encourages and supports First Nations programs and services that create an environment that honours the knowledge, language, partnerships, protocols and traditions of Indigenous peoples. It encourages, supports, and recommends appropriate activities that enhance Indigenization on TRU campuses. Finally, it supports, recommends, and seeks appropriate Aboriginal partnerships and affiliation agreements between TRU and Indigenous communities. The International Affairs Committee serves to advise Senate on measures to achieve the goals set out in the Strategic Plan with regard to International Opportunities with a focus on internationalization and international opportunities for students and faculty. It further advises Senate on measures to align of academic, budgetary and other priorities of Senate with the international activities of the university. The Research Committee serves to advise Senate on policies and programs that promote, support and celebrate high quality research and scholarly work and its dissemination; policies and practices regarding ethical or regulatory requirements for the conduct of research and scholarly work and its dissemination; opportunities and challenges associated with external funding of research and scholarly work; and policies and procedures for the allocation and awarding of university funds for research and scholarly work. It reviews, in consultation with the Budget Committee, proposals to establish new research centres or institutes or new research chairs or professorships, and makes recommendations to the Academic Planning and Priorities Committee; reviews annually the activities of the University’s research centres or institutes; and reviews annually the Strategic Research Plan and make recommendations to the Senate. Finally, it submits to Senate an annual report on research and scholarly activities. The Steering Committee serves to advise Senate on all matters related to the ways it conducts the business of Senate, its meetings and its proceedings; matters related to duties of members and conflict of interest; procedures for the recommendation and selection of candidates for president, deans, librarians, the registrar and other senior academic administrators designated by the Board; matters related to Senate elections. It reviews regularly the by-laws of Senate and the configuration of standing committees of Senate, their membership, terms of reference, and their consultation and reporting relationships, and makes recommendations to Senate. It coordinates the policies, programs, and practices of Senate committees, especially where more than one standing committees is involved. Finally, it nominates members to serve on Senate committees, review and appeal committees, and selection committees and hearings. The Teaching and Learning Committee serves to advise Senate on policies, programs and practices to promote, support, and celebrate high quality and innovative teaching and learning environments; policies and practices for the systematic measurement of the quality of teaching and learning; the promotion of research on teaching and learning; the coordination and development of academic policies, and regulations, and services involving the Library, Information Technology Services, and Media Services; and the further development, service integration, and coordination of the library, Information Technology Services, and Media Services. The Planning Council for Open Learning is responsible for directing the affairs of the Open Learning Division of the university. It has the power to set admission requirements and residency requirements for awarding credentials offered through the Open Learning Division. It may further advise or make recommendations to the Board of Governors on the following: the educational mandate of the Open Learning Division; the establishment, revision or discontinuance of courses and programs in the Open Learning Division; and the strategic direction for the Open Learning Division, including its role as a system partner in the ongoing development and expansion of distance and online learning in British Columbia. Note that the student representative on the Planning Council for Open Learning are elected through a TRU process and not selected through the Student Caucus. Each Faculty and School of the university has a Council that serves as it senior academic governance body and the venue for collegial and consultative decision-making. The Council provides a forum for Faculty-wide dissemination of information, discussion, and academic decision-making related to the governance and management of the Faculty and its activities. While respecting the authority of more senior university governance bodies (Senate and Board of Governors) and administration, each Council is responsible at the Faculty level for the planning, priority-setting, development, management, and ongoing review of the teaching, research, and other related programs and services.